What surround us reflects us. Collections of Contemporary Argentine Art reveals the creative revival of plastic arts in Argentina through a group of private collections. 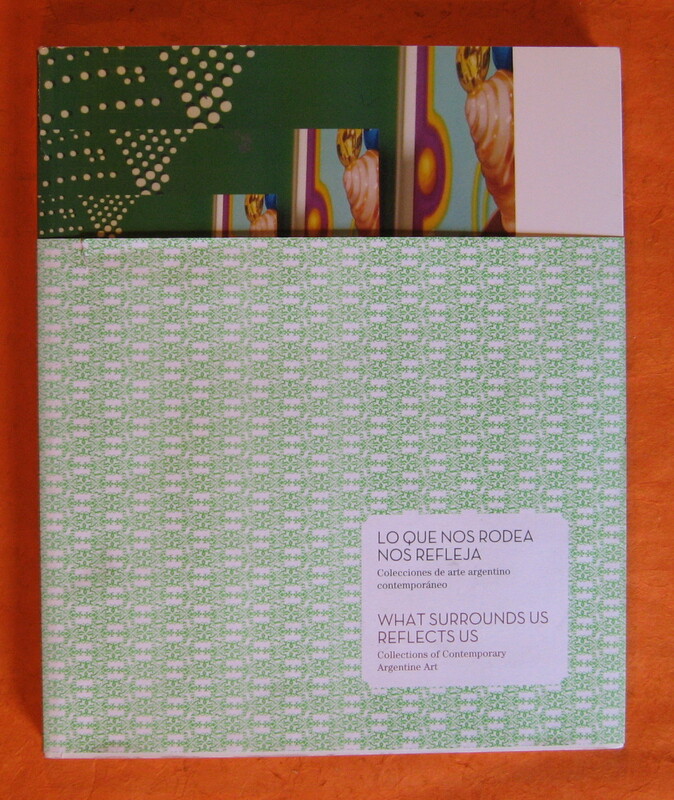 The book shows the collections of Alejandro Ikonicoff, Anibal Jozami, Orly Benzacar, Mariana Cortes, Esteban Tedesco, Juan Jose Cambre, Juan Vergez, Luis Parenti, Gustavo Bruzzone, Florencia Braga Menendez, Marion Helft, Gabriel Werthein and Ignacio Liprandi, transcribing unique and fascinated conversations among collectors, owners of galleries, artists, critics and art dealers. The guests invited to talk with the collectors are Leopoldo Estol, Diana Beatriz Wechsler, Flavia Da Rin, Maximo Jacoby and Laura Perez Campana, Ernesto Ballesteros, Ines Katzenstein, Ana Maria Battistozzi, Roberto Jacoby, Gabriel Valansi, Melina Berkenwald and Marcelo Pacheco. Eloise Mitsuko Alemany is a creative consultant and publisher based in Buenos Aires. She was born to French parents in Tokyo, where she lived until the age of 17. She completed her studies in Art History and Visual Arts at Princeton University (New Jersey, USA), before moving to London, where she acquired experience in fashion communications and publishing. Her 6 years at i-D magazine saw her working alongside creative director, Terry Jones, as well as managing a number of successful books, events and international exhibitions. She has lived in Buenos Aires since 2006, where she works as a freelancer on projects related to art & design, food and Argentine culture. In 2008, Eloise published the book What Surrounds Us Reflects Us: Collections of Contemporary Argentine Art (Ediciones Lariviere), in a bilingual, Spanish and English edition, followed by Libro de cocina: Relatos argentinos (December 2009). Her latest book, Cuaderno dulce: Postres franceses de Pascale Alemany (published in June 2010) compiles her mother s recipes of French desserts. Alongside the editorial projects, Eloise has produced a number of events linked to food. In 2009, she created Noches Grimod, the first pop-up restaurant in Buenos Aires and in December 2010, she set up a pop-up store called Souvenir with fashion stylist Caro Urresti and photographer Ana Armendariz.